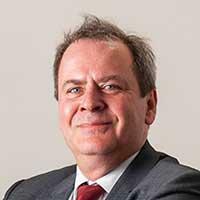 Richard has over 30 years of stockmarket experience and is one of the UK’s foremost commentators on market matters and a regular contributor for the BBC (BBC News Channel, Wake Up to Money and the Today Programme), CNBC and Bloomberg. Richard’s expert commentary also appears across the national and specialist press. He previously held senior positions at Hargreaves Lansdown and NatWest Stockbrokers. HSBC shares: What does the future hold? Market rally or looming recession?